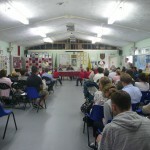 What can I say but a HUGE “thank you” to everyone who supported the Group at our 49th Annual Gathering and General Meeting. 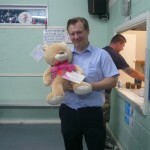 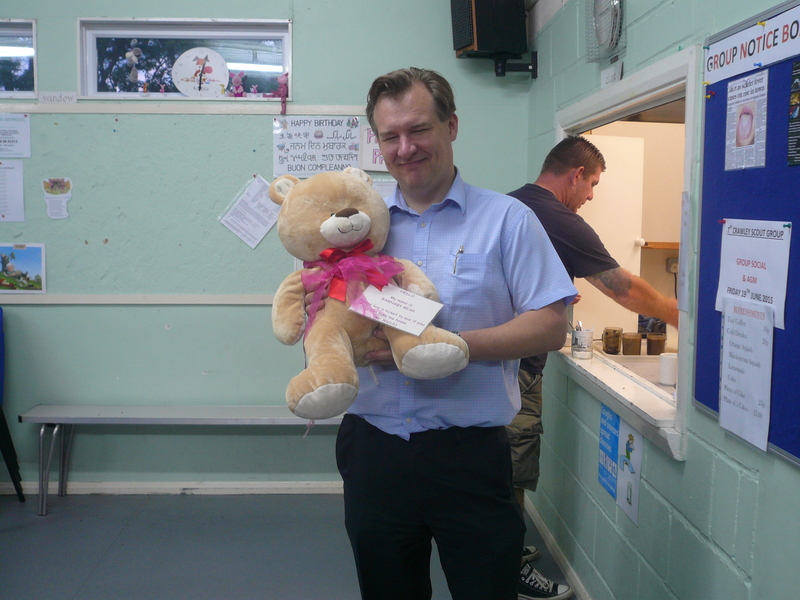 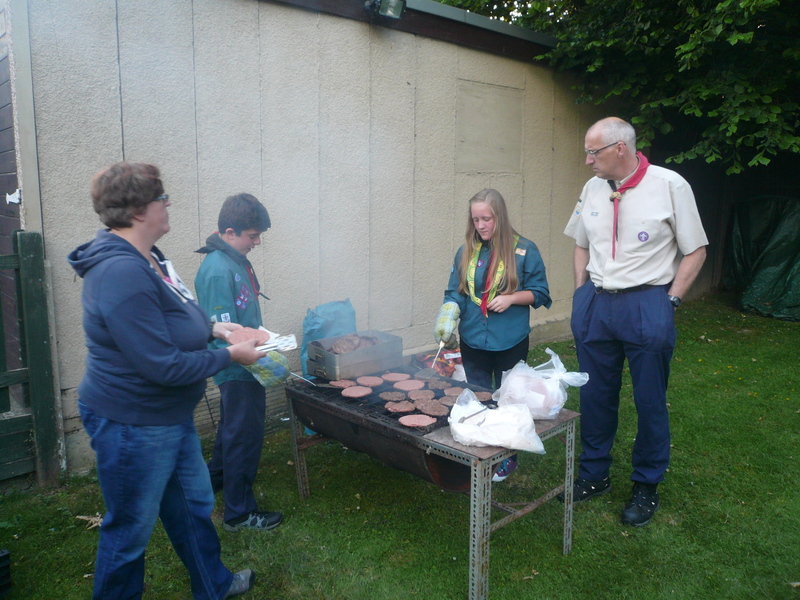 A note to our District Commissioner – All of the Volunteering” leaflets were taken by parents and supporters. 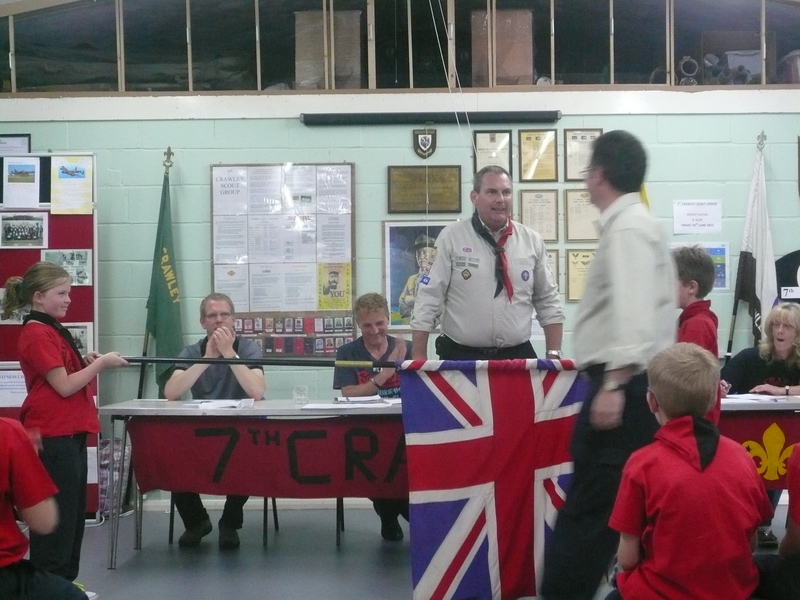 It is hoped that we shall soon have some more willing volunteers to join the great team at 7th! 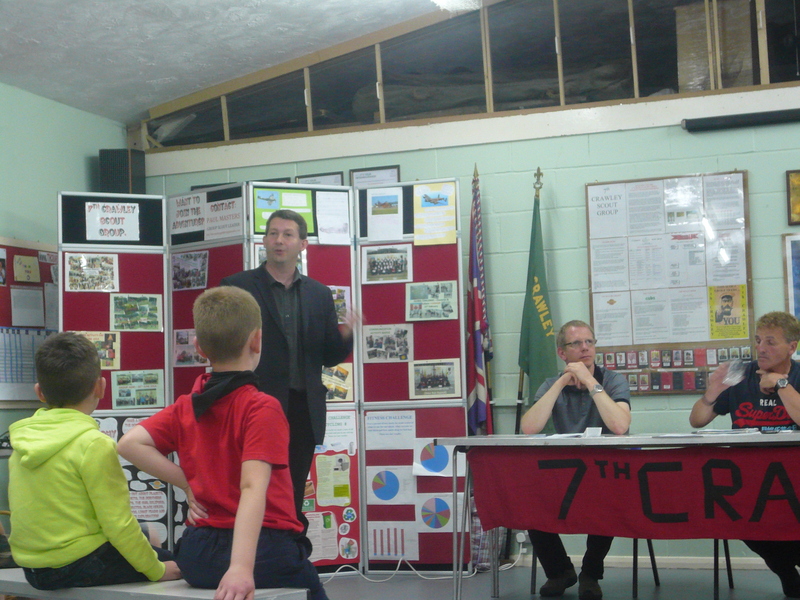 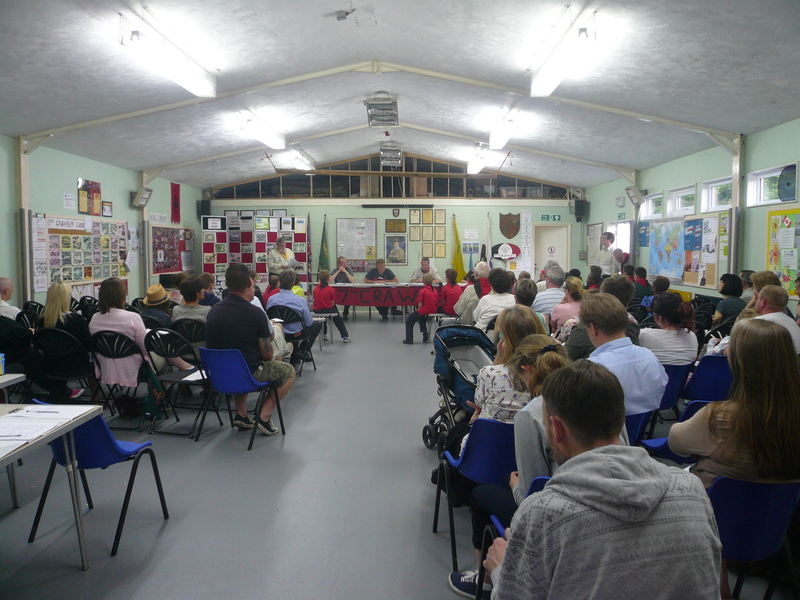 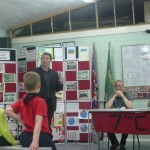 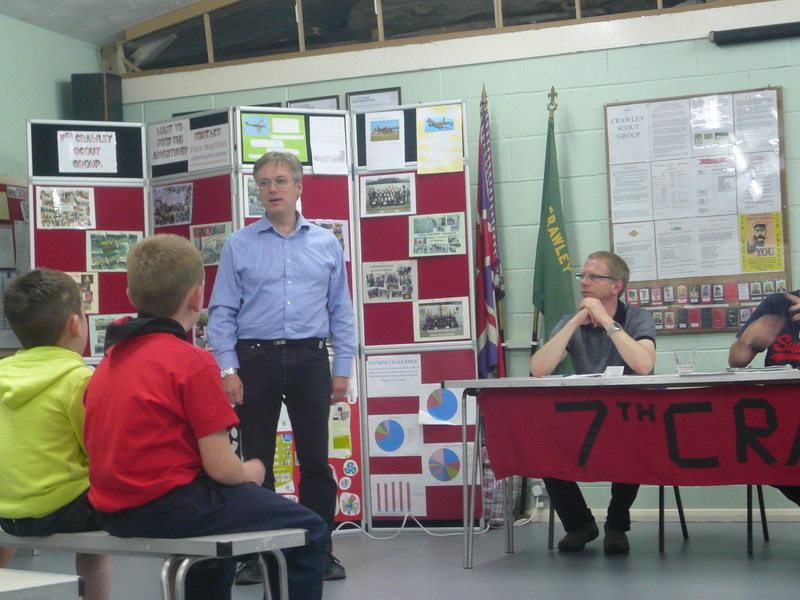 A reasonably short and very well attended meeting was followed by an address from our local MP, Henry Smith; Cllr Duncan Crow (Furnace Green); District Commissioner, Eddy Hills and finally our Chairman, Mark Lavender. 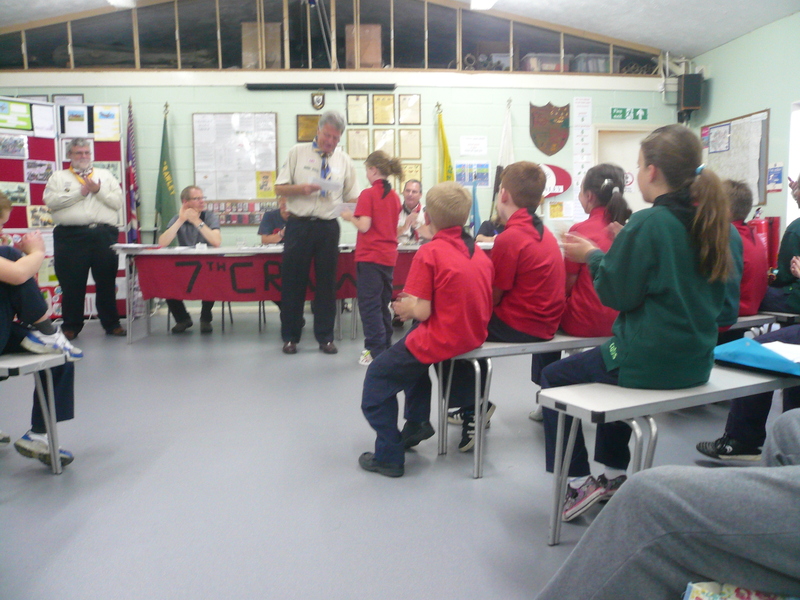 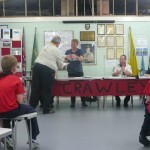 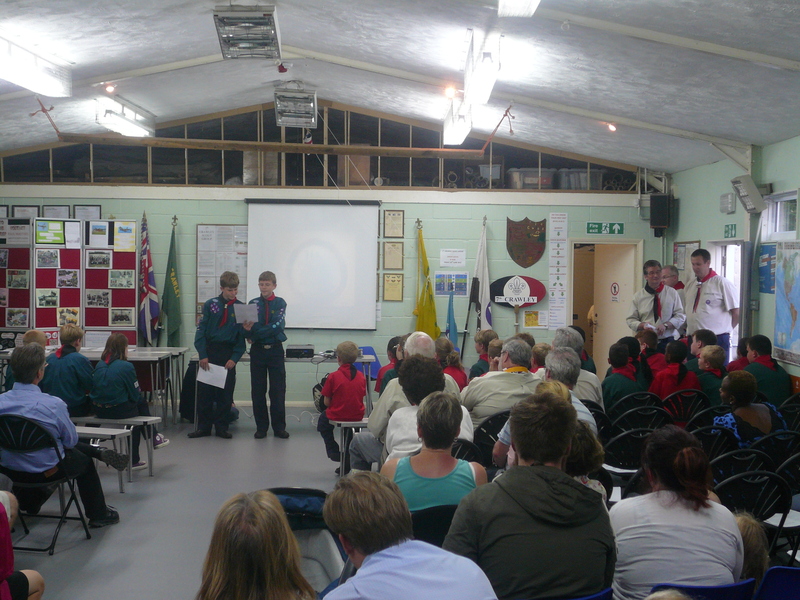 Presentations were then made to the senior Cubs who attended the District Cub Skills day last month and to three Cubs who have recently completed their Chief Scout (Silver) award. 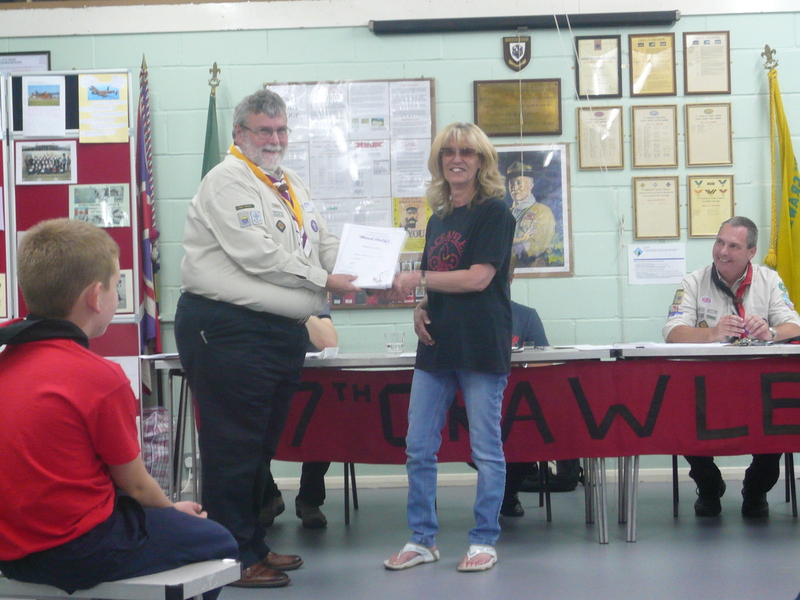 Leaders accomplishments were also recognised with the award of a 5 year certificate to Mark Lavender, a 10 year certificate to Tim Hall (Scout Leader) and wood badges (Leaders Training Awards) to Julia Foxcroft (Asst. 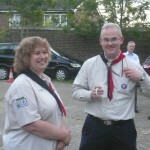 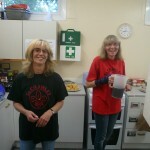 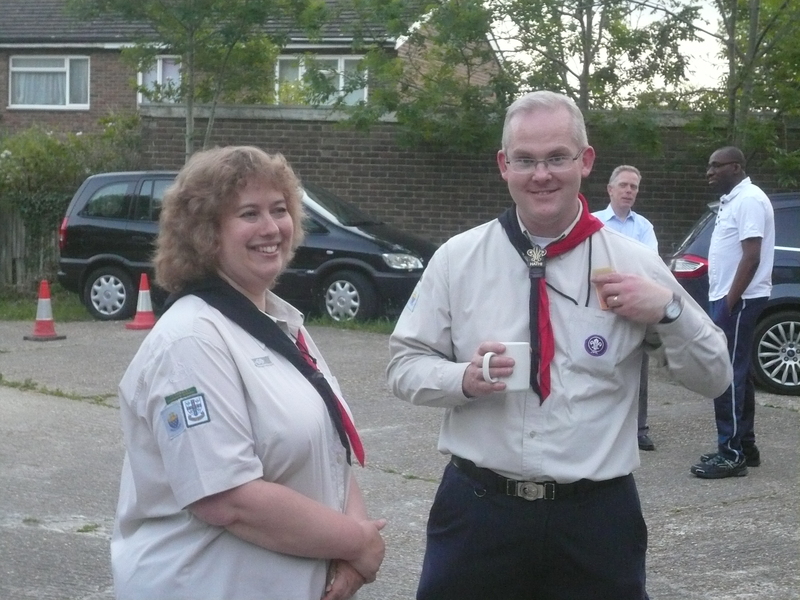 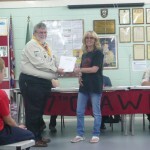 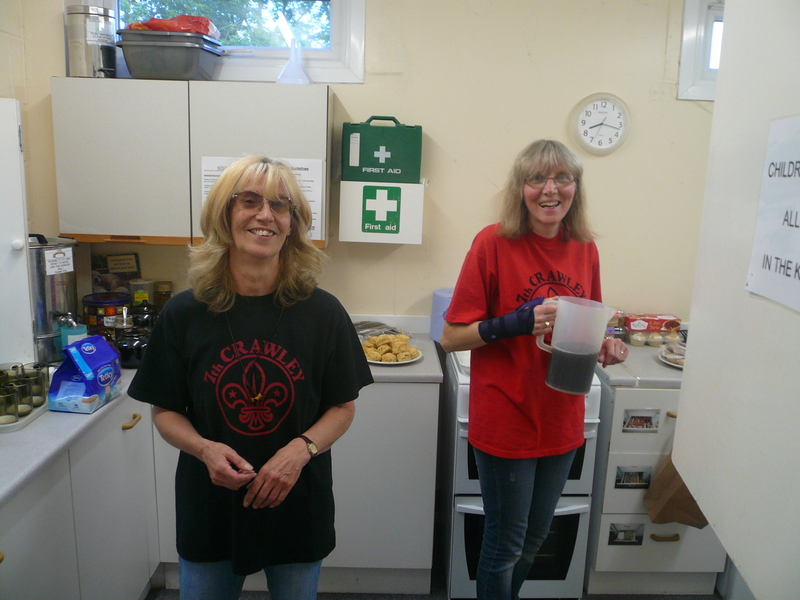 Beaver Scout Leader) and Debbie Oakes (Cub Scout Sectional Assistant). 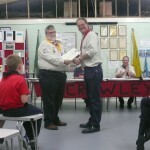 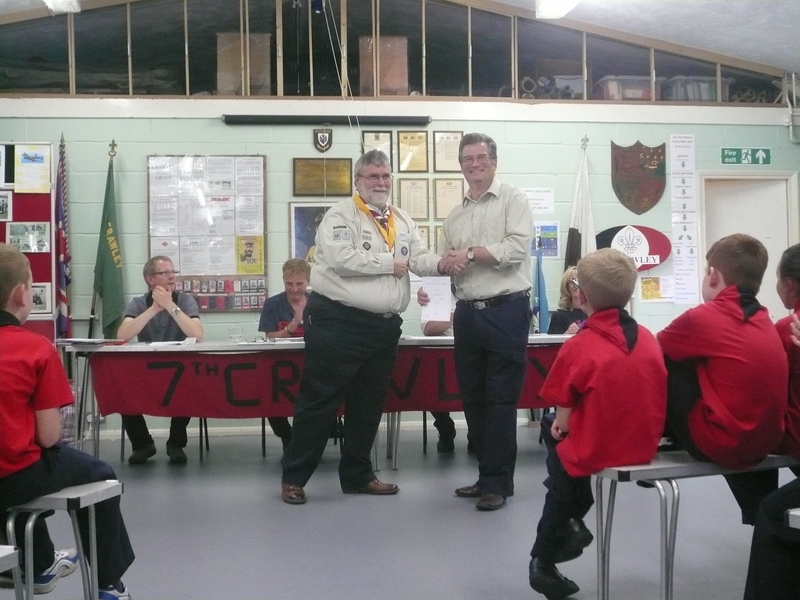 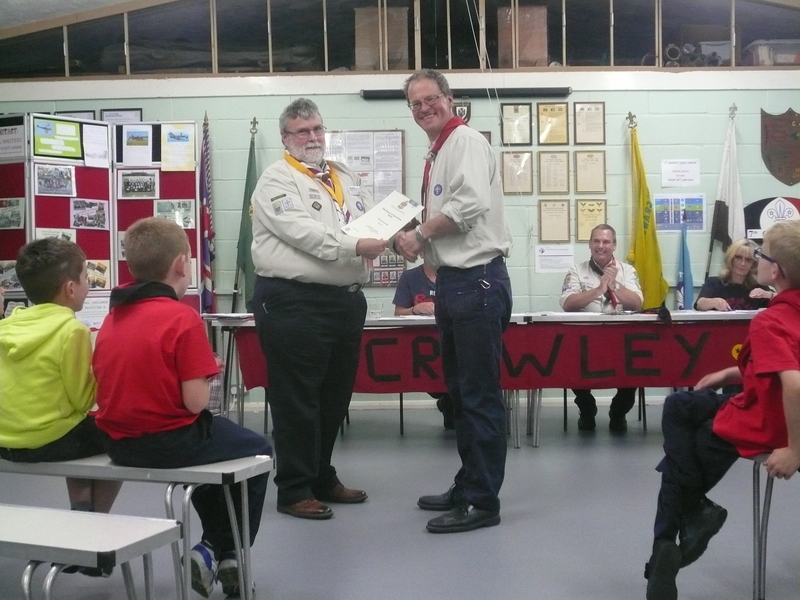 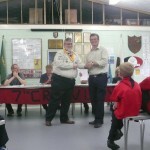 Appointment certificates were presented to Mark Lavender for his role as Group Chairman and to David Goodwin who is another Cub Scout sectional Assistant. 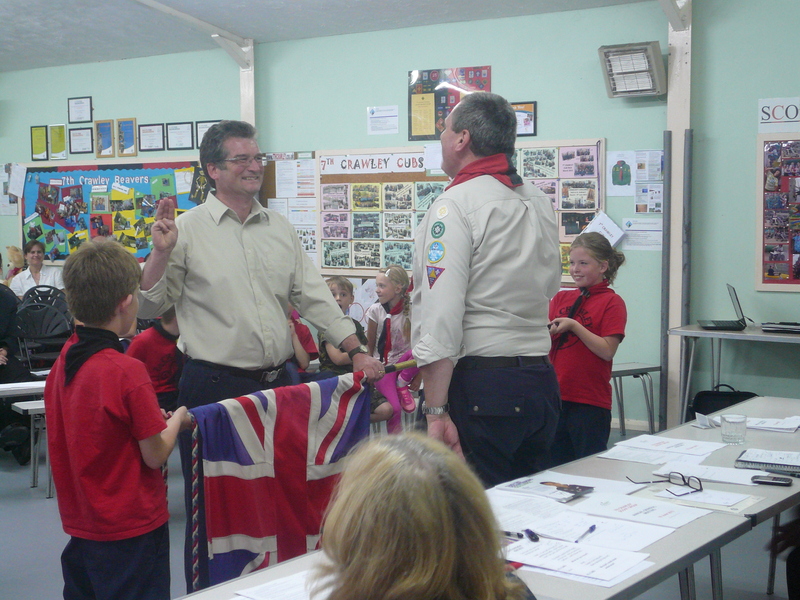 I then had the privilege of formally investing David into the Group and leading the uniformed members present at the meeting in the Scout Promise. 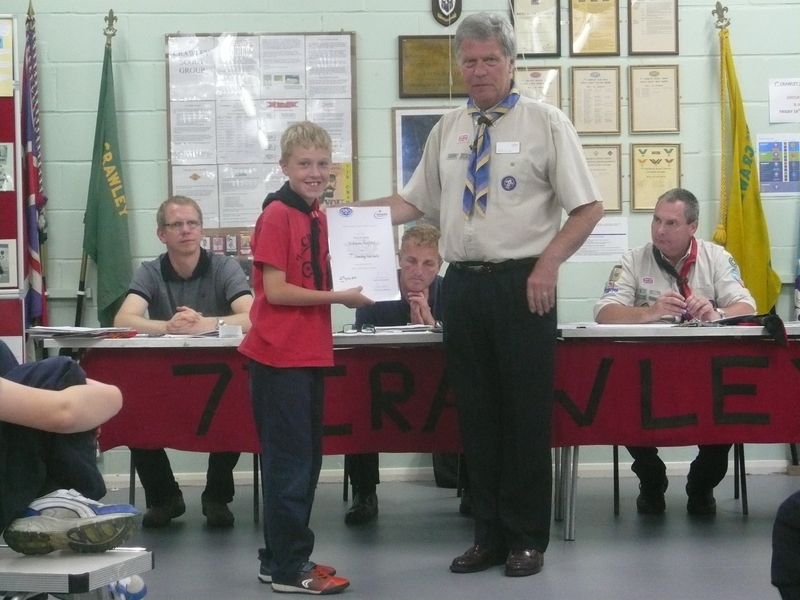 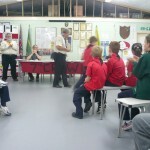 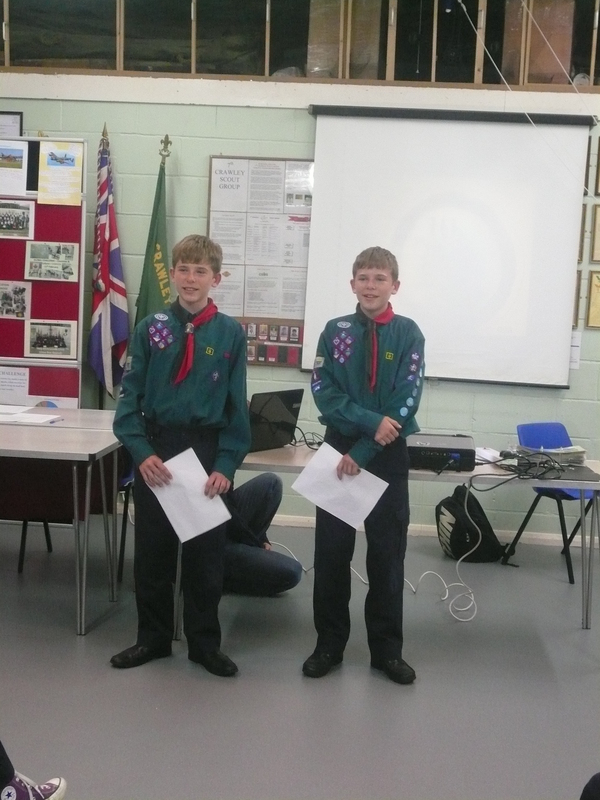 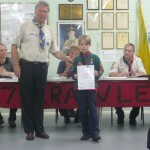 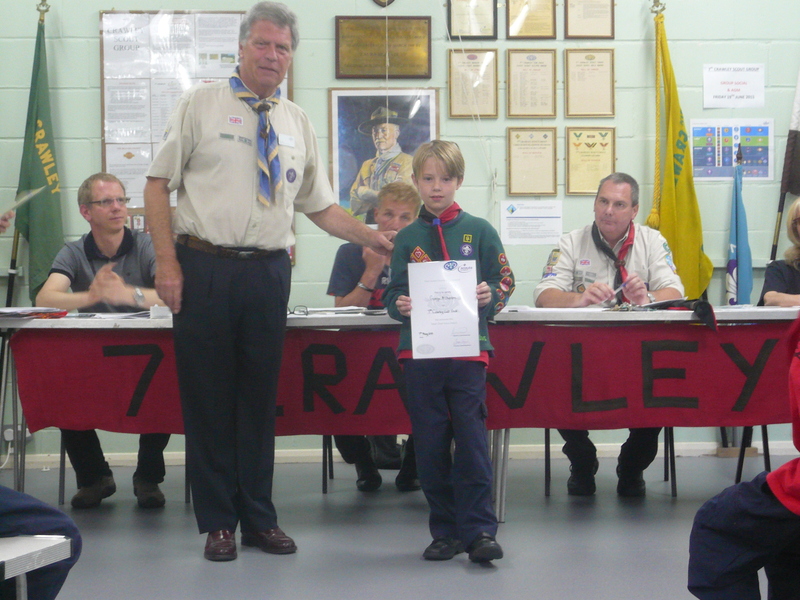 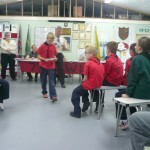 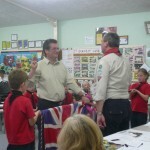 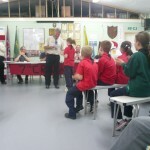 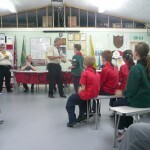 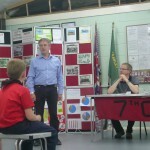 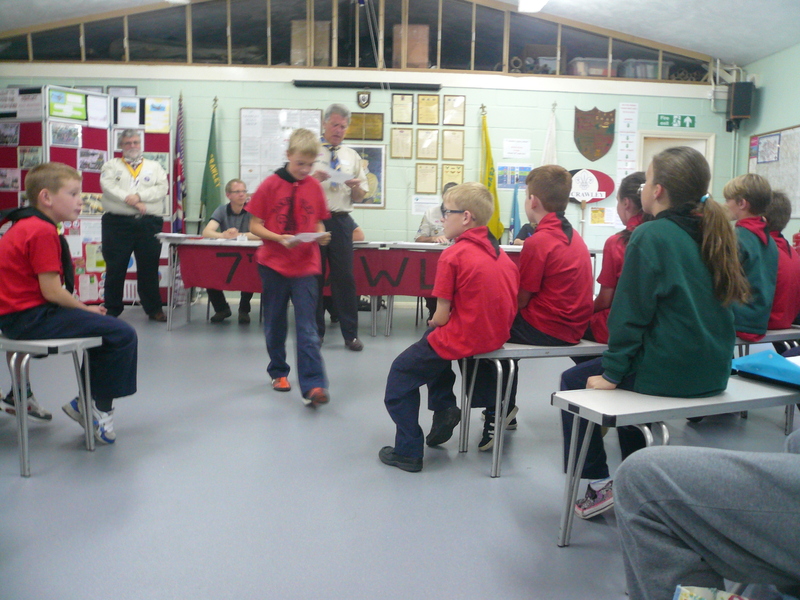 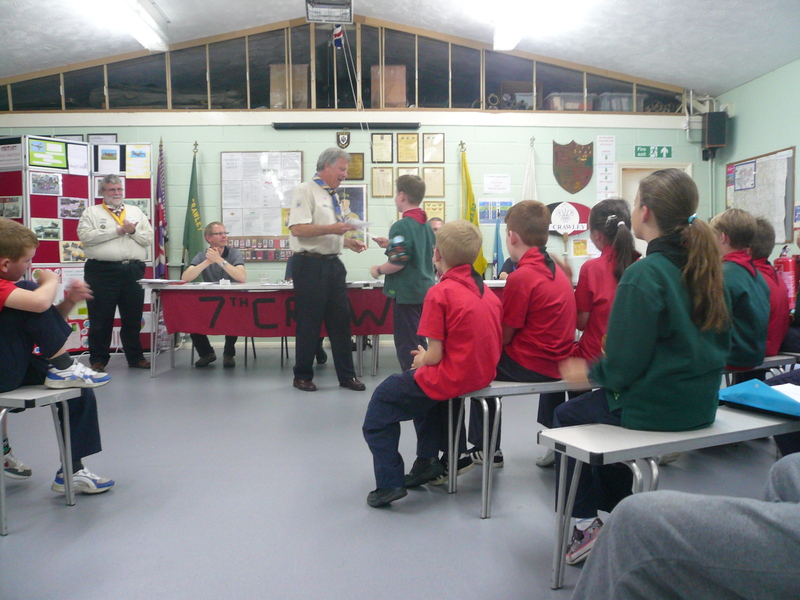 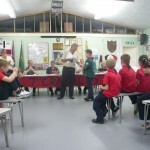 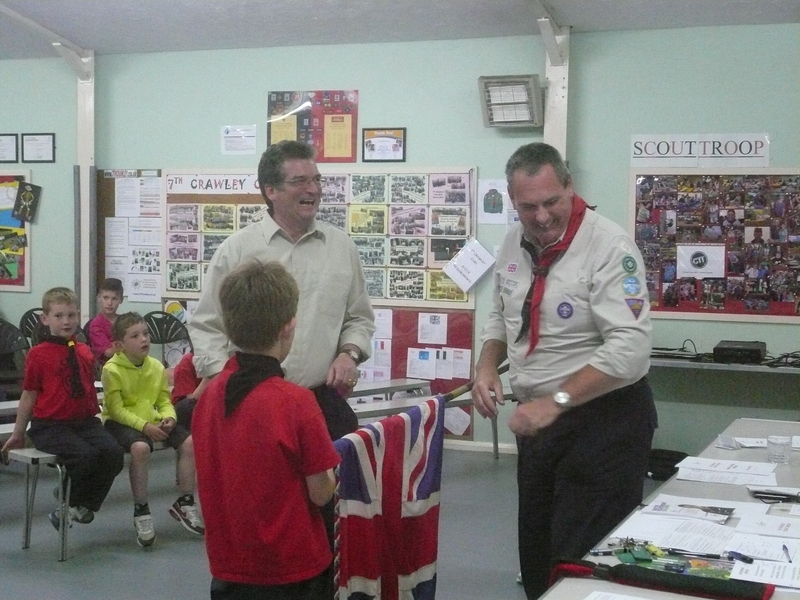 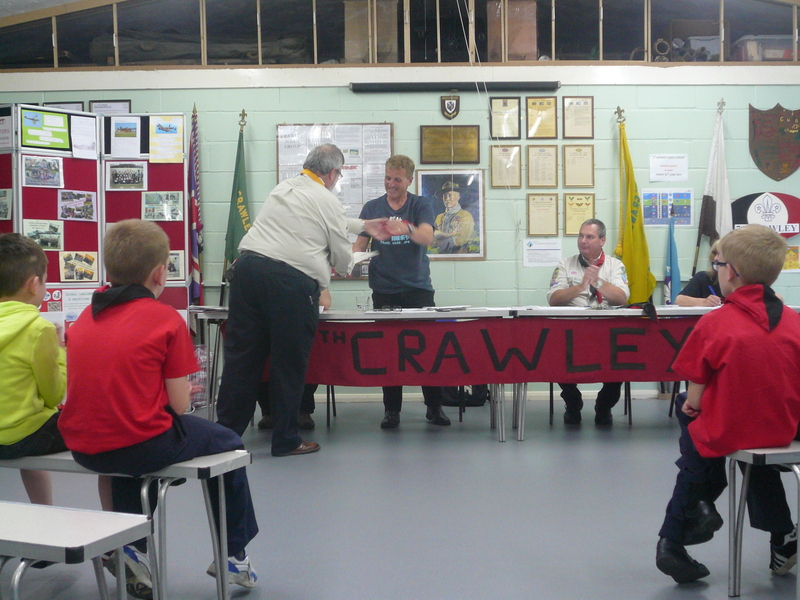 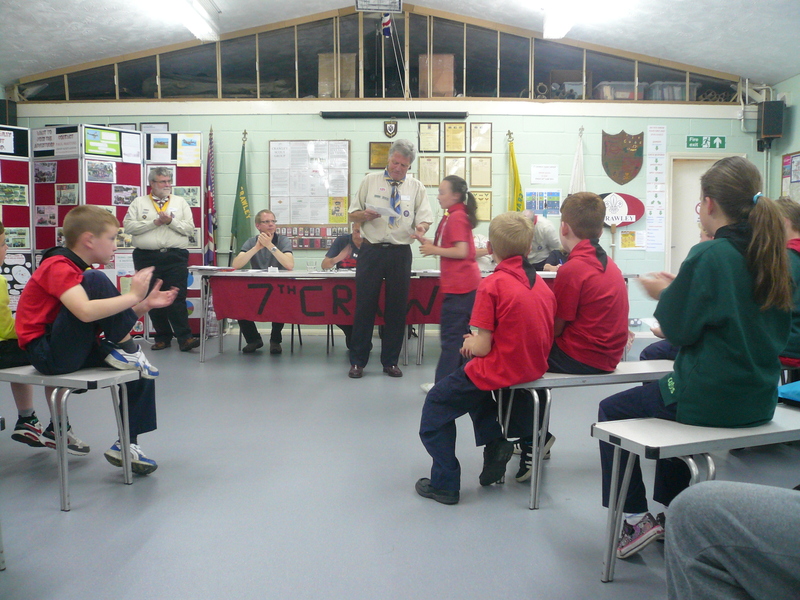 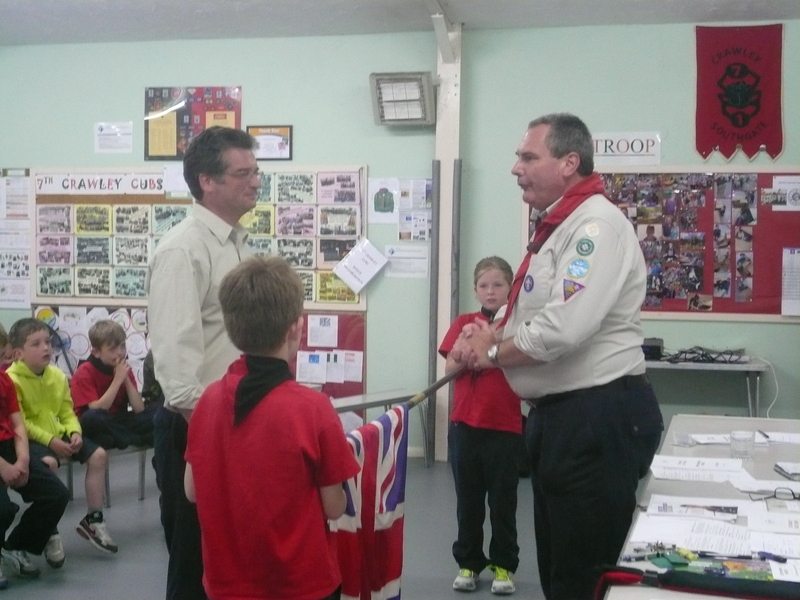 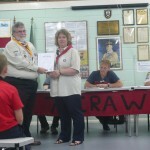 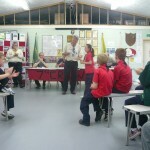 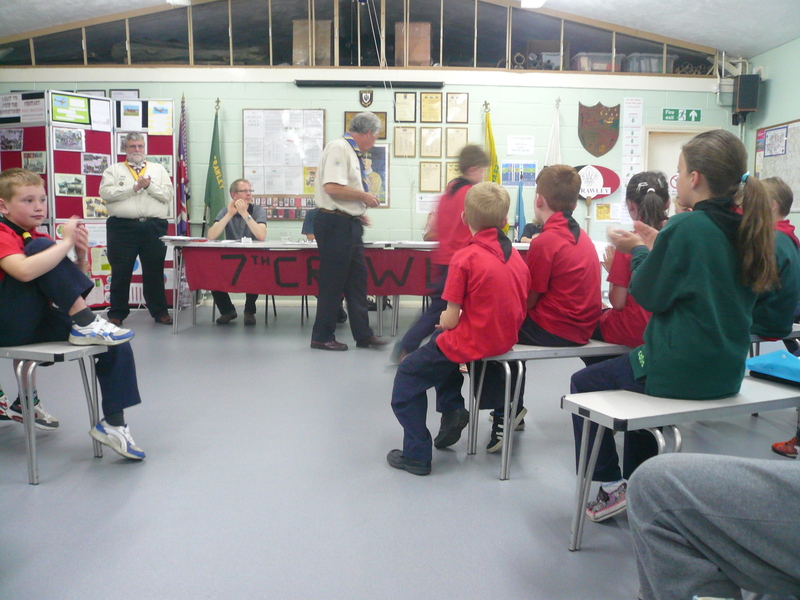 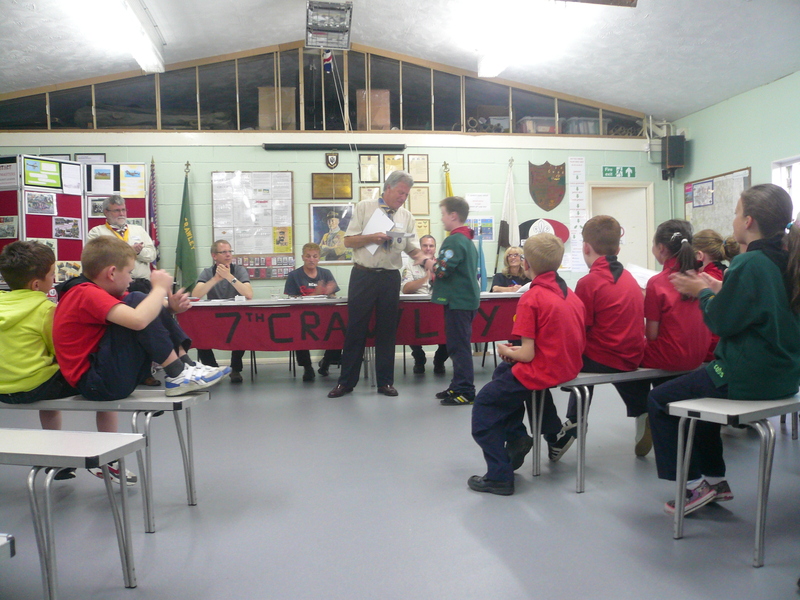 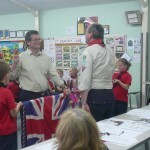 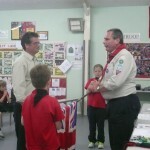 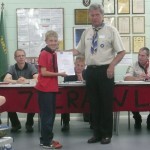 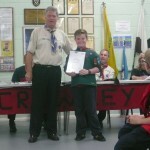 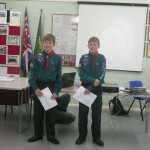 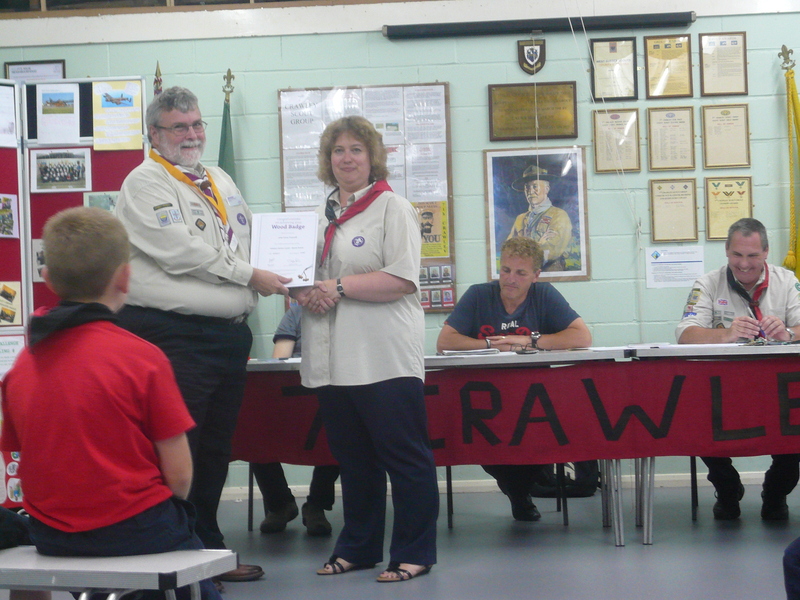 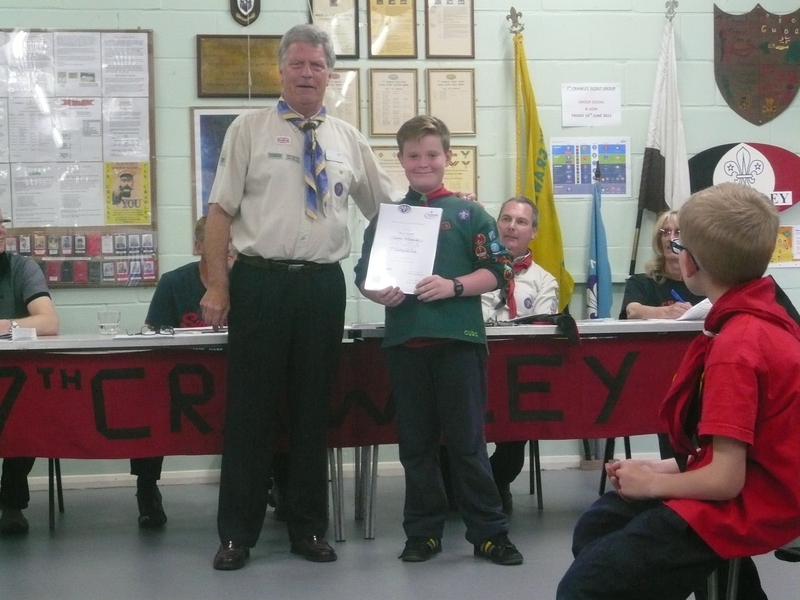 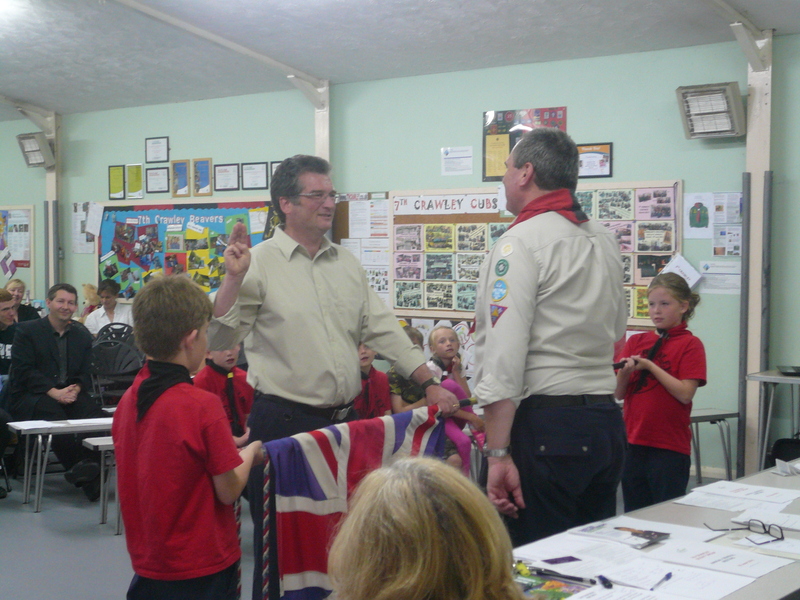 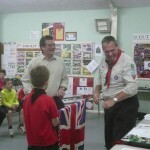 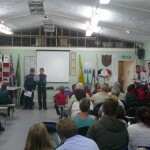 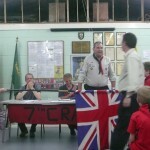 Those present were then entertained with the showing of a video of some of the exploits of the Beaver Colony, a sketch from the Cub Pack on “how not to pack for camp” and then a presentation by two Scouts as part of their Chief Scout (Gold) award. 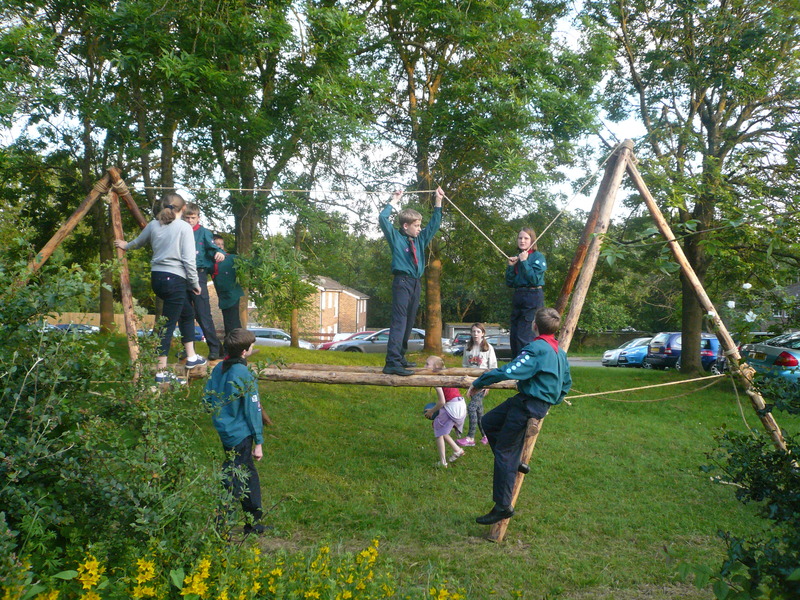 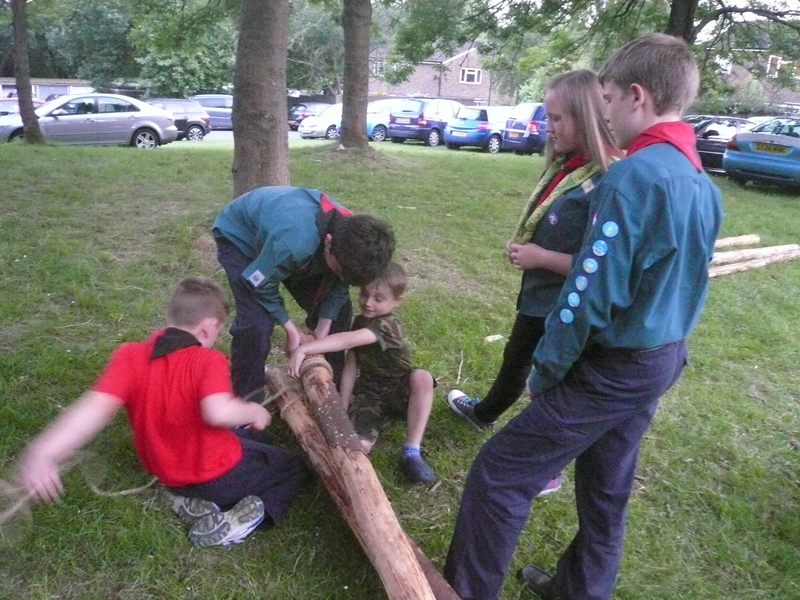 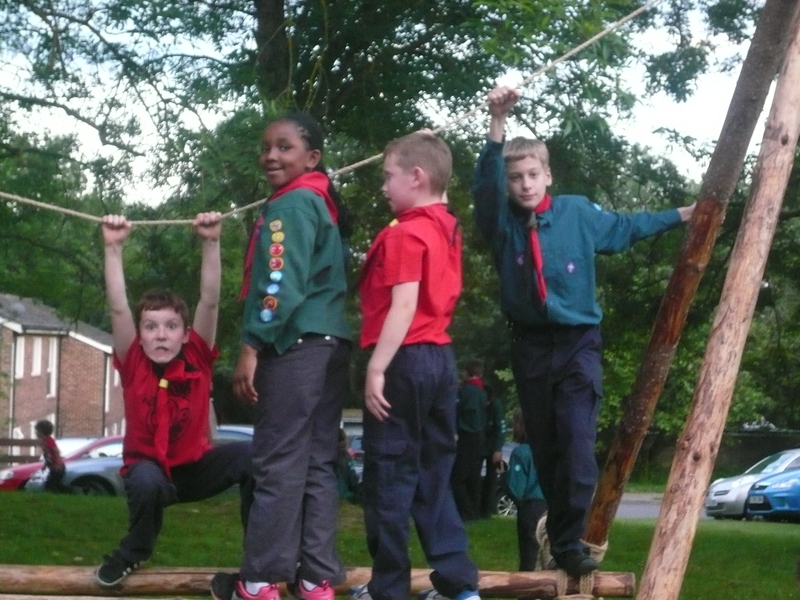 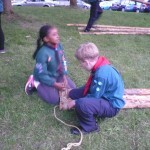 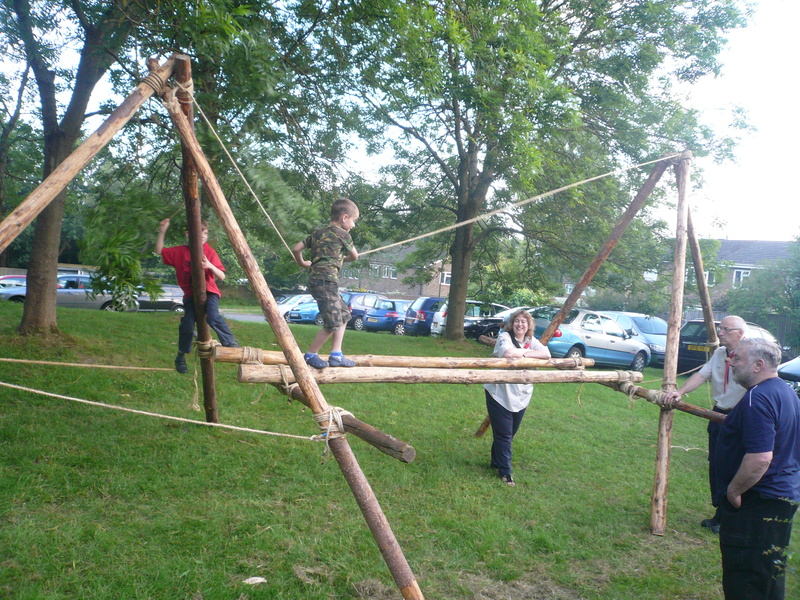 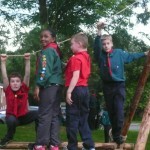 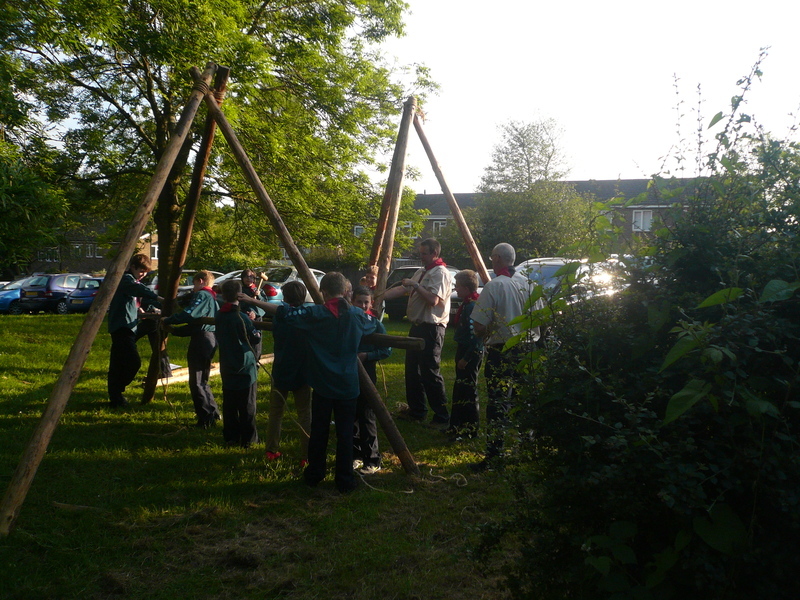 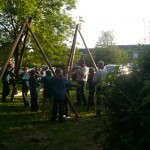 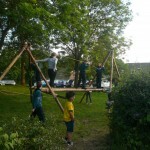 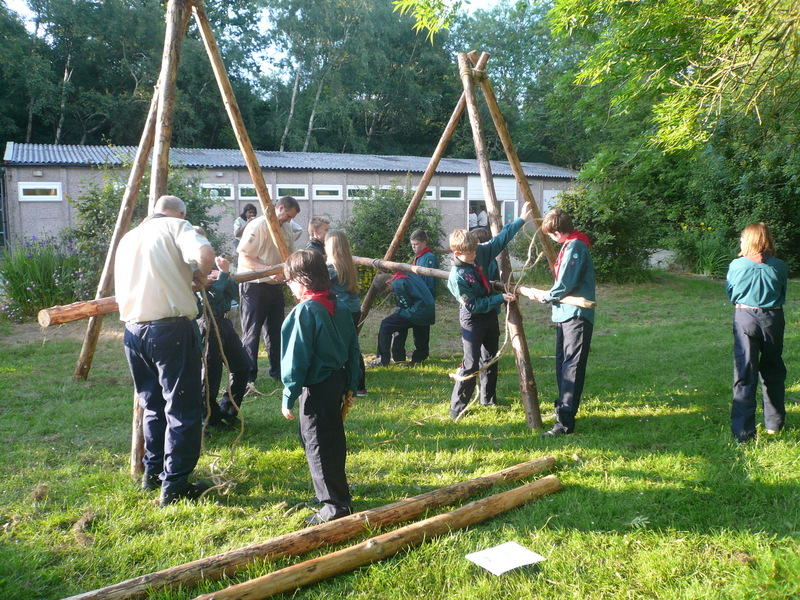 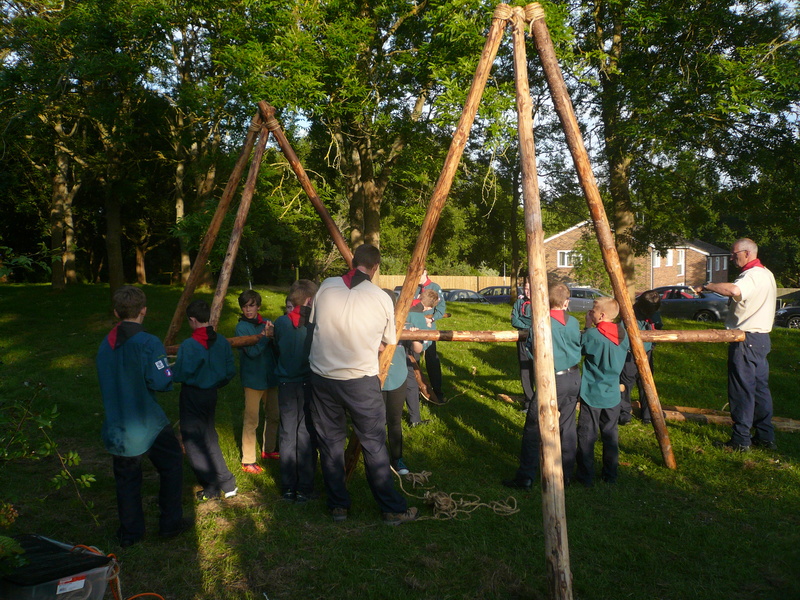 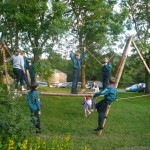 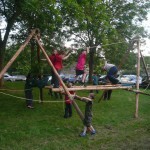 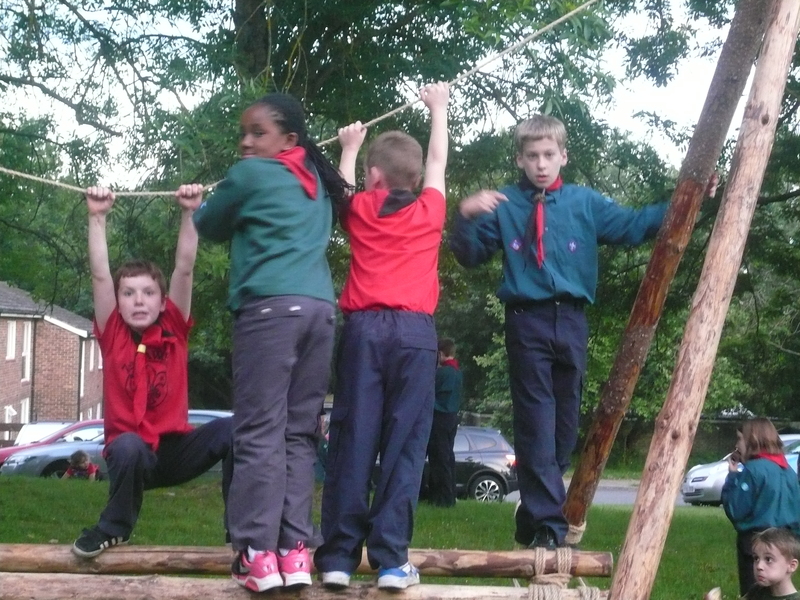 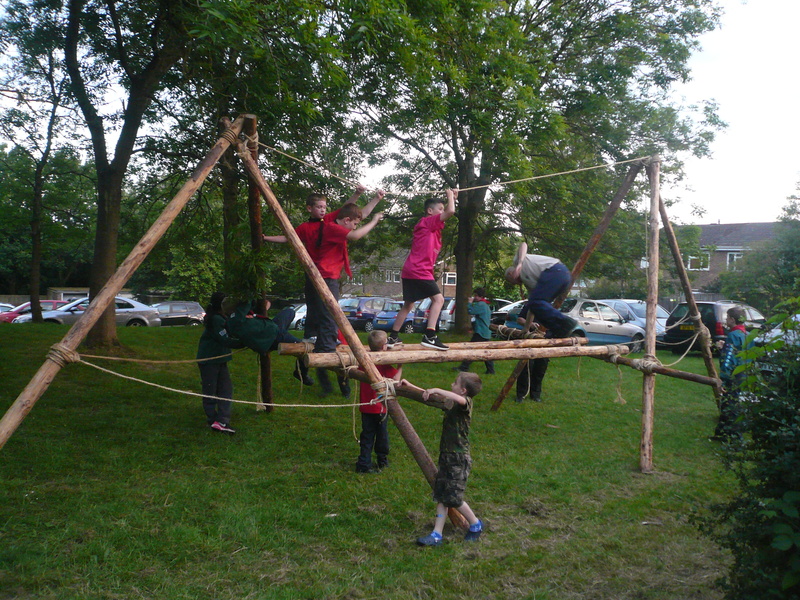 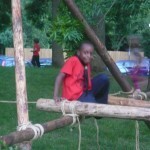 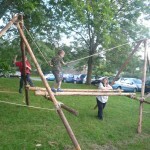 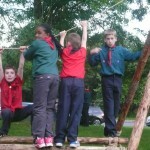 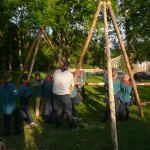 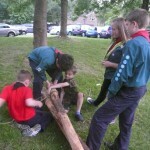 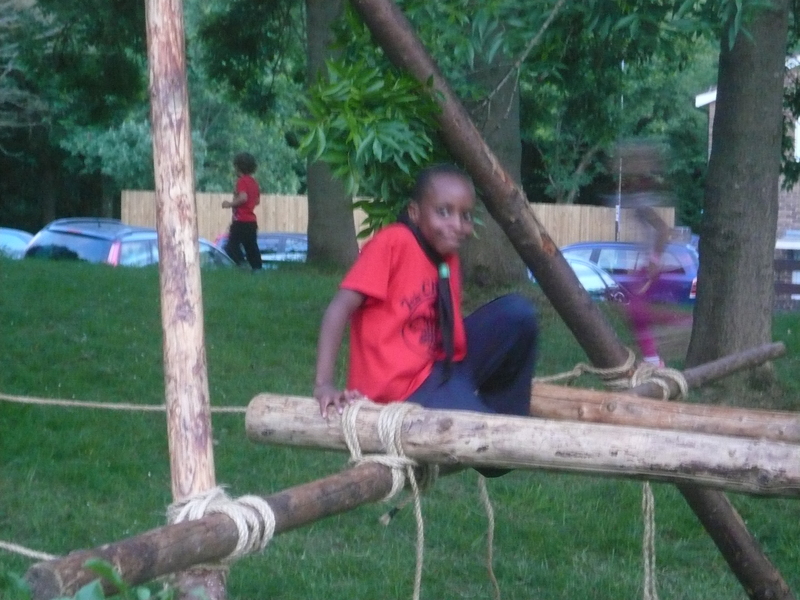 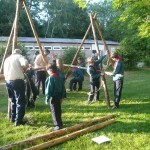 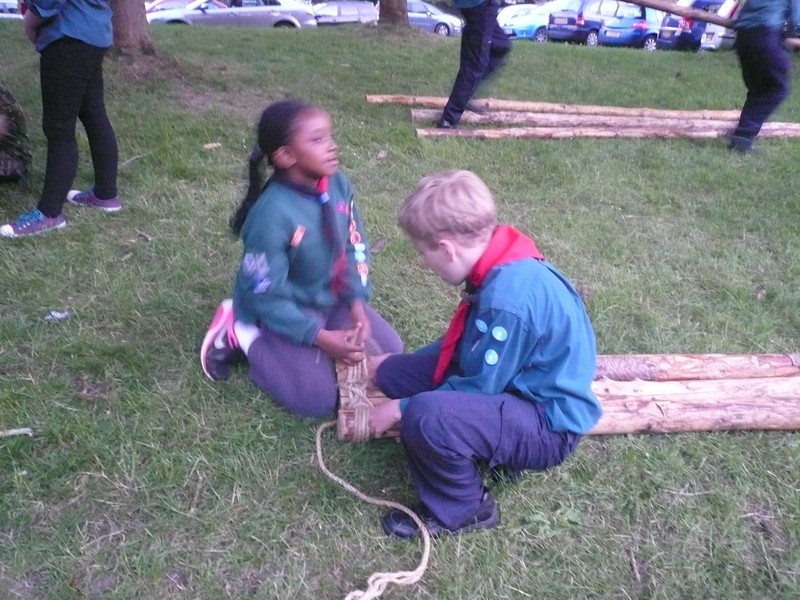 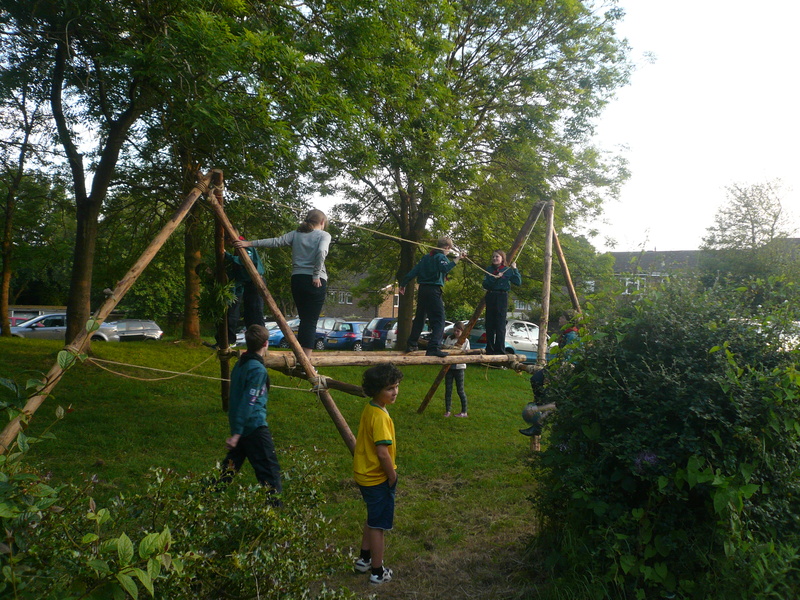 The Troop also demonstrated their pioneering skills by building a bridge which was enjoyed by many! 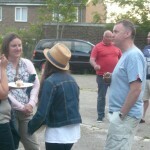 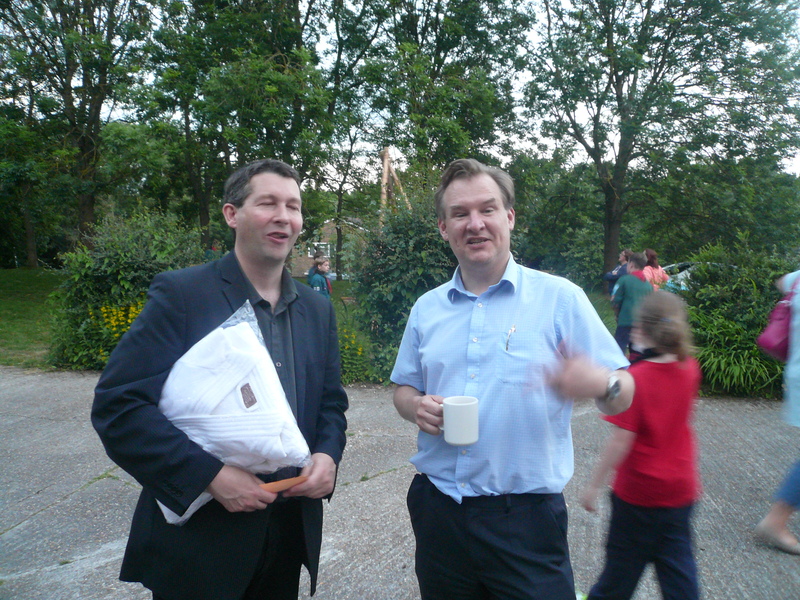 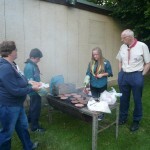 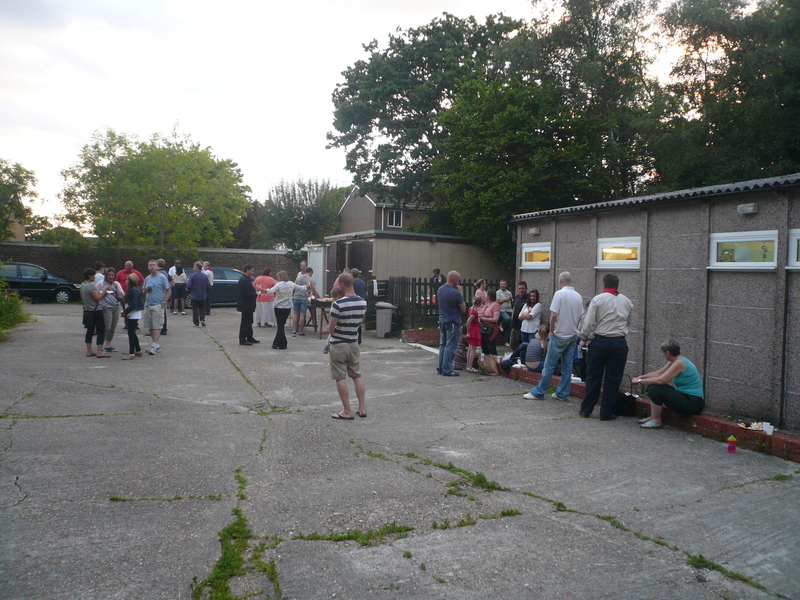 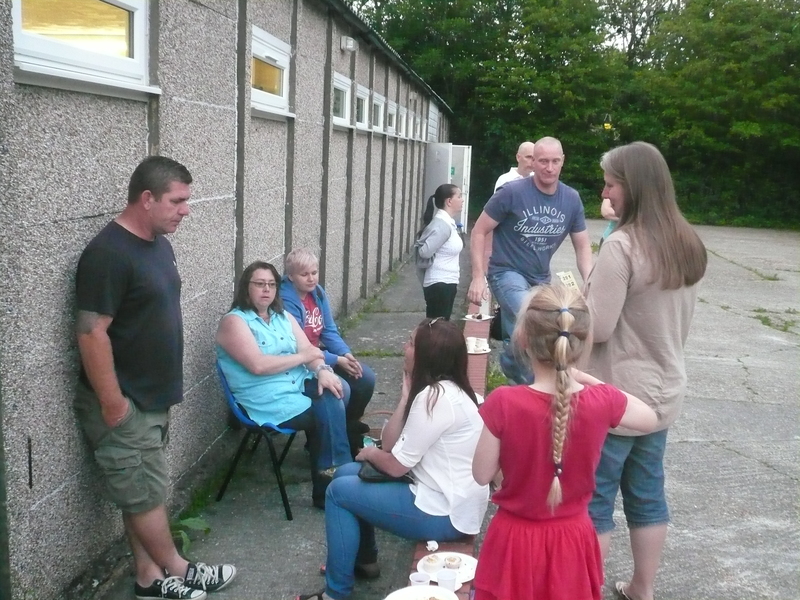 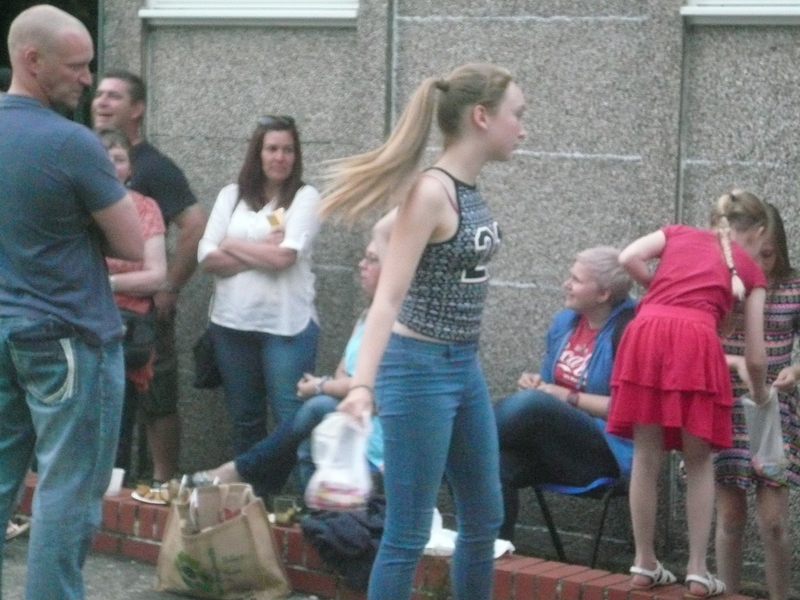 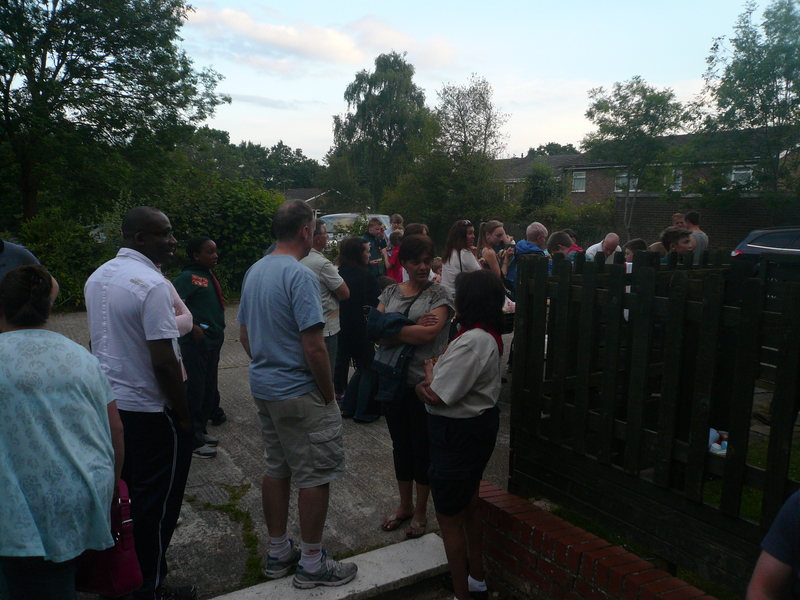 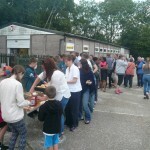 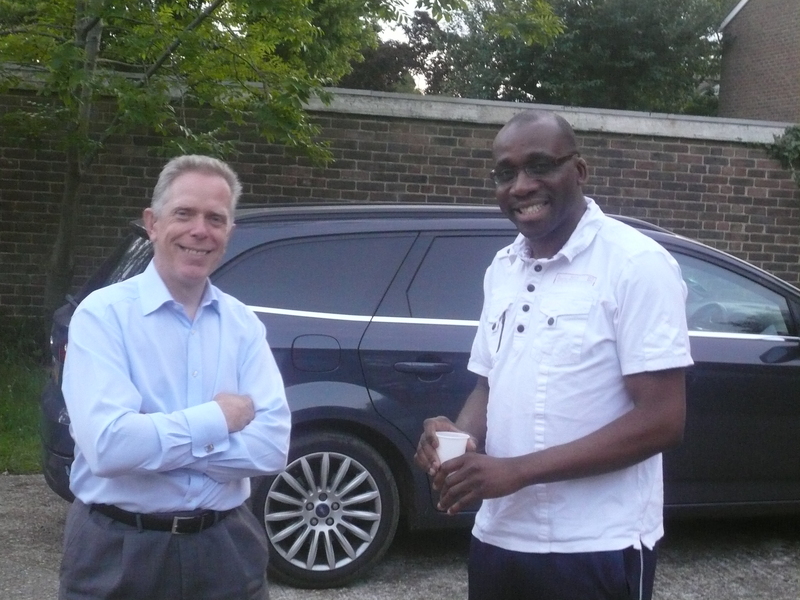 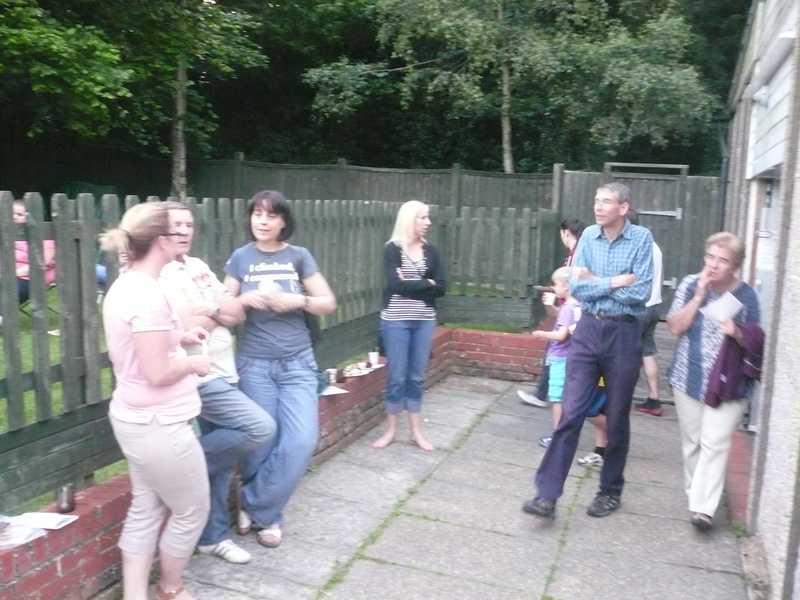 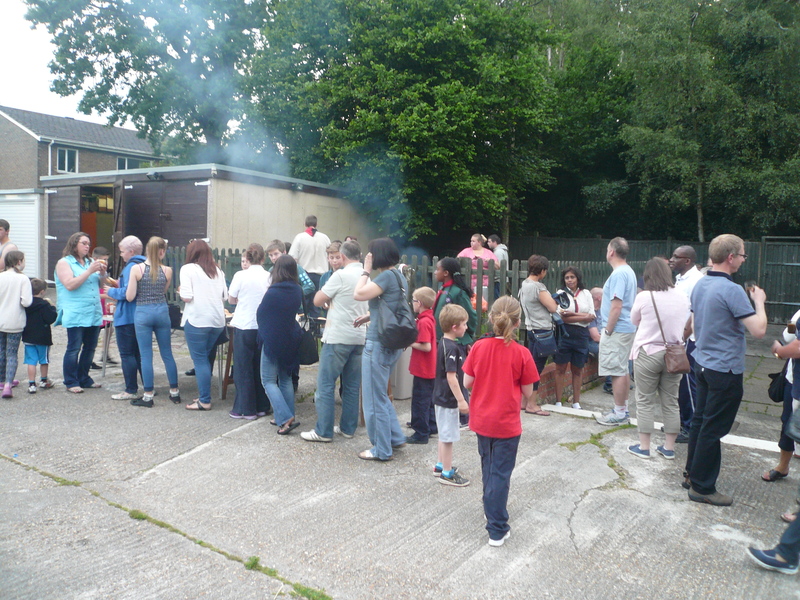 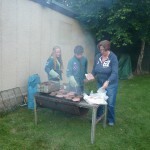 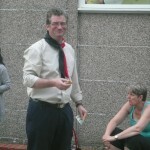 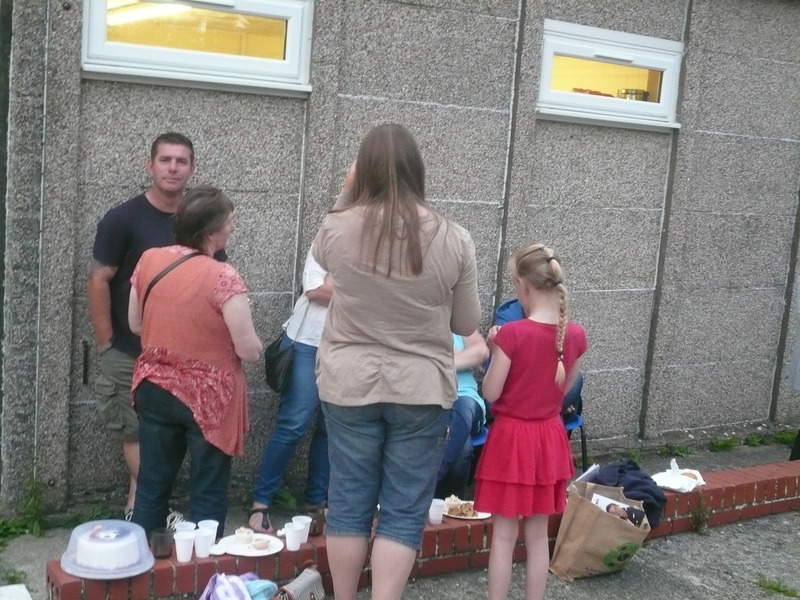 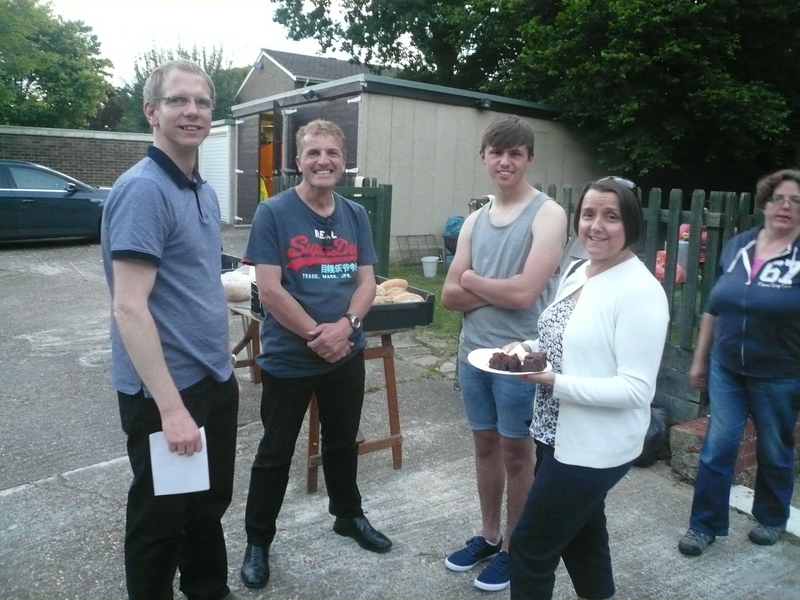 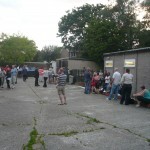 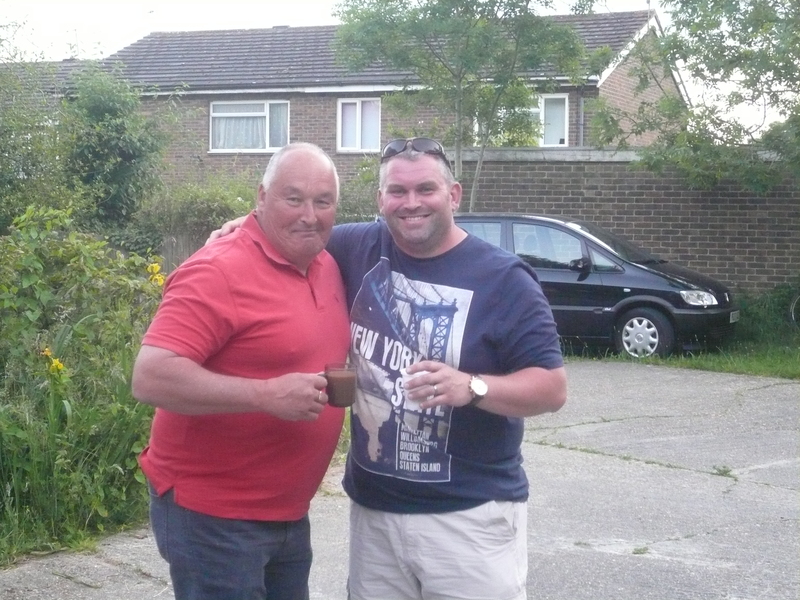 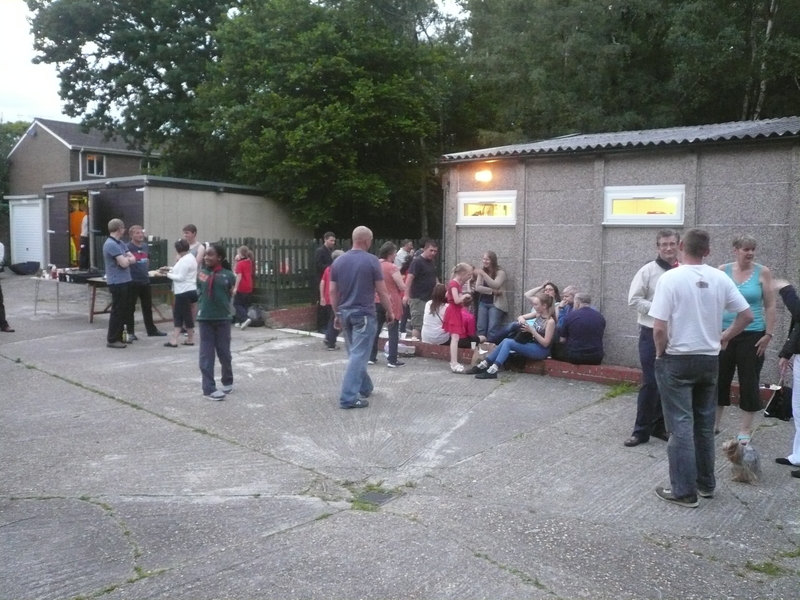 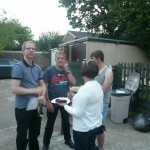 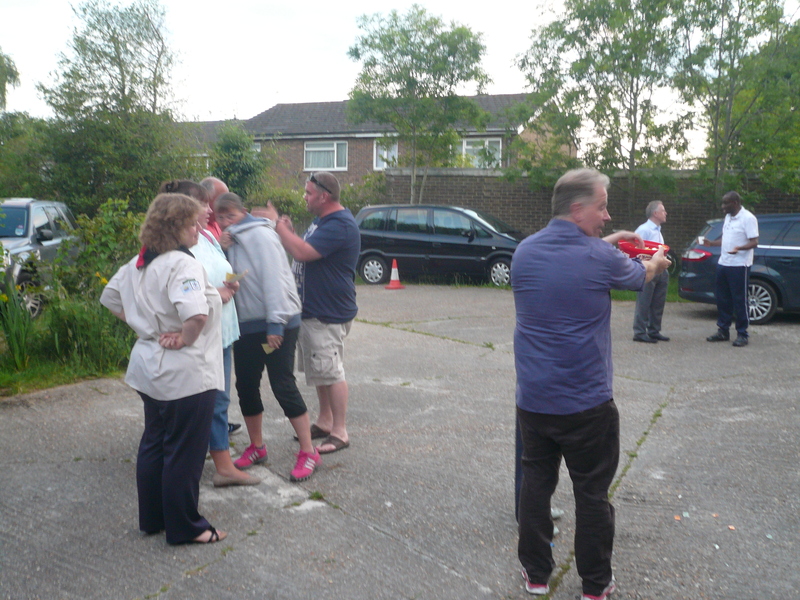 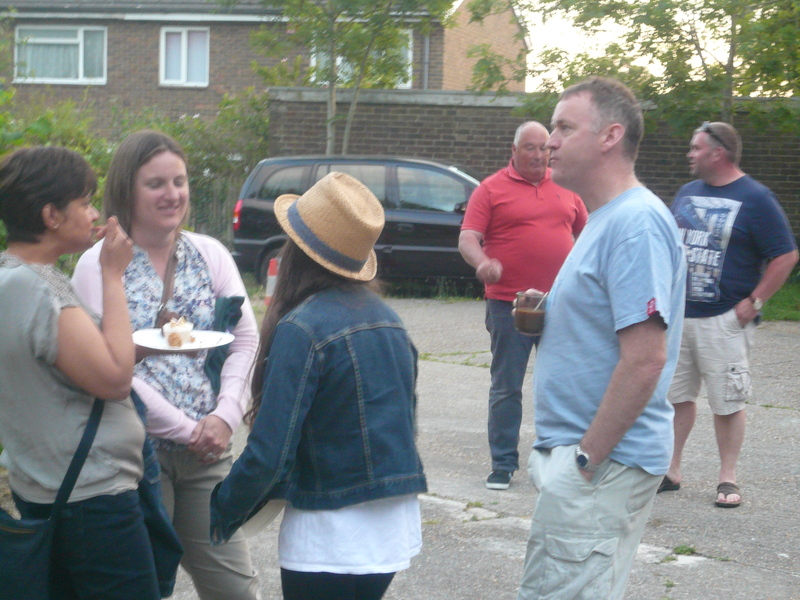 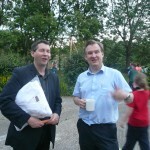 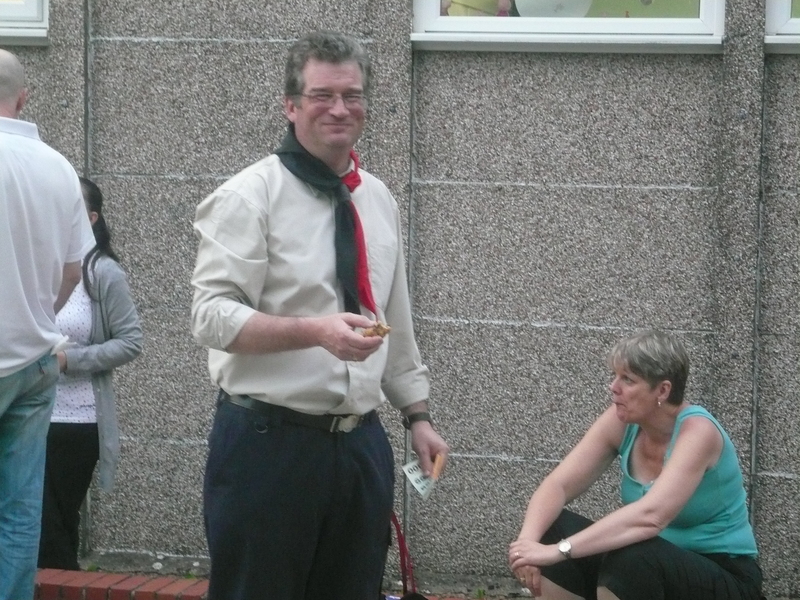 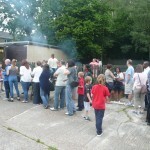 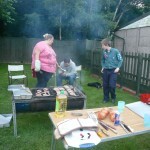 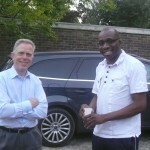 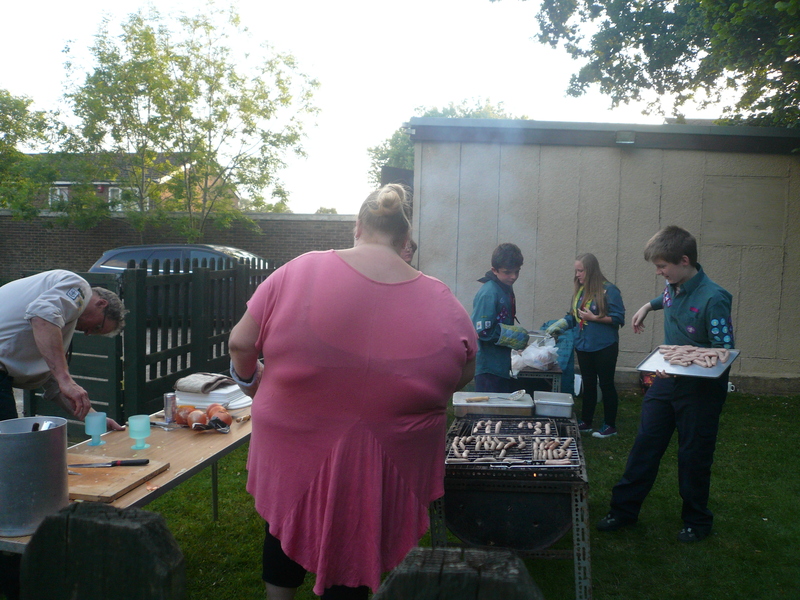 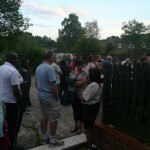 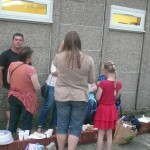 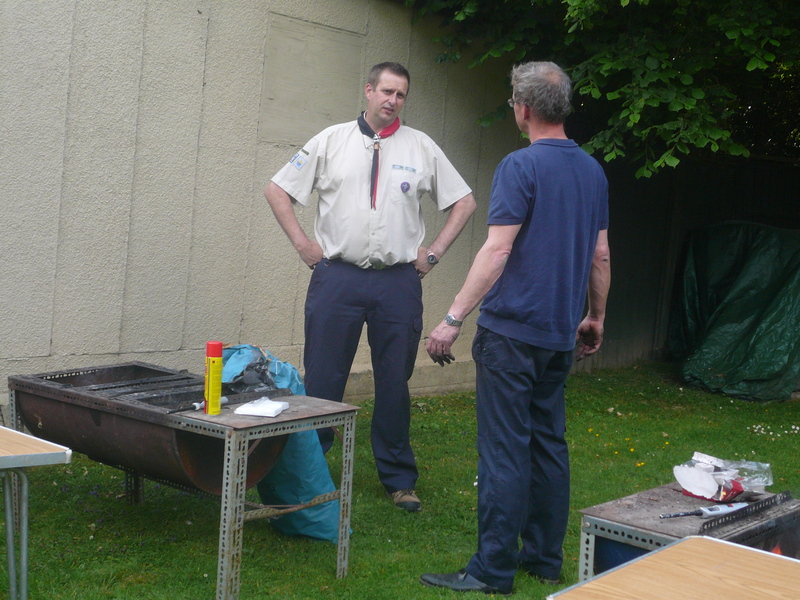 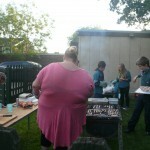 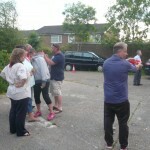 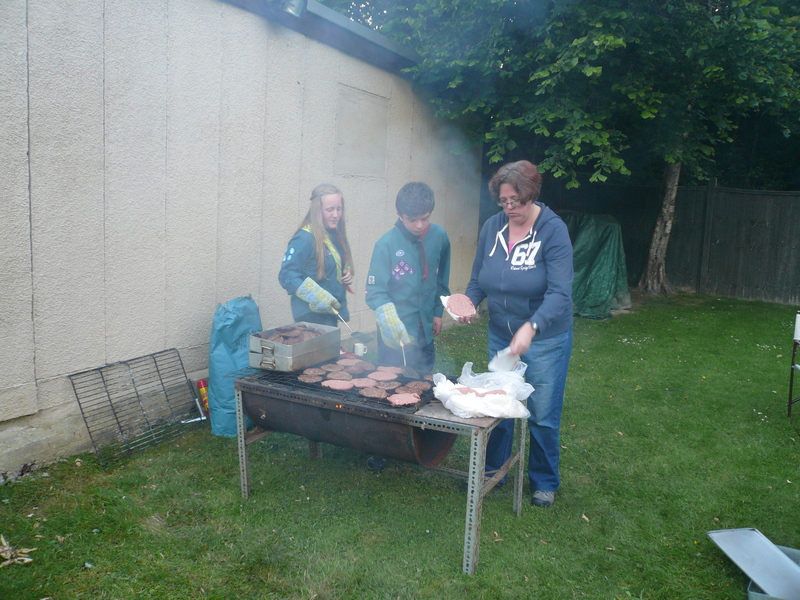 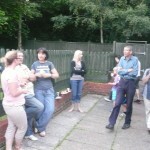 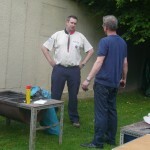 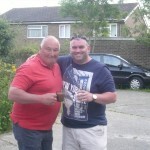 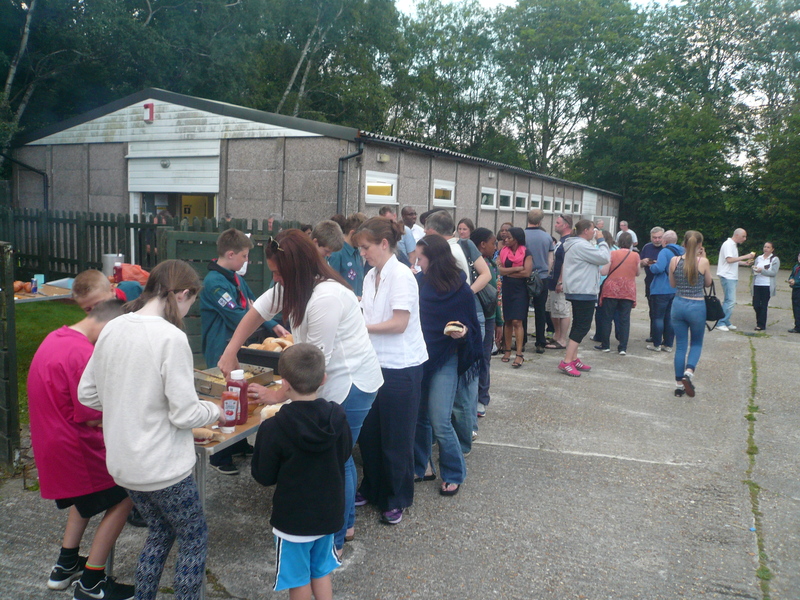 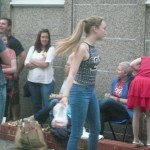 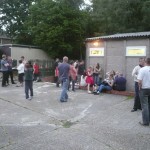 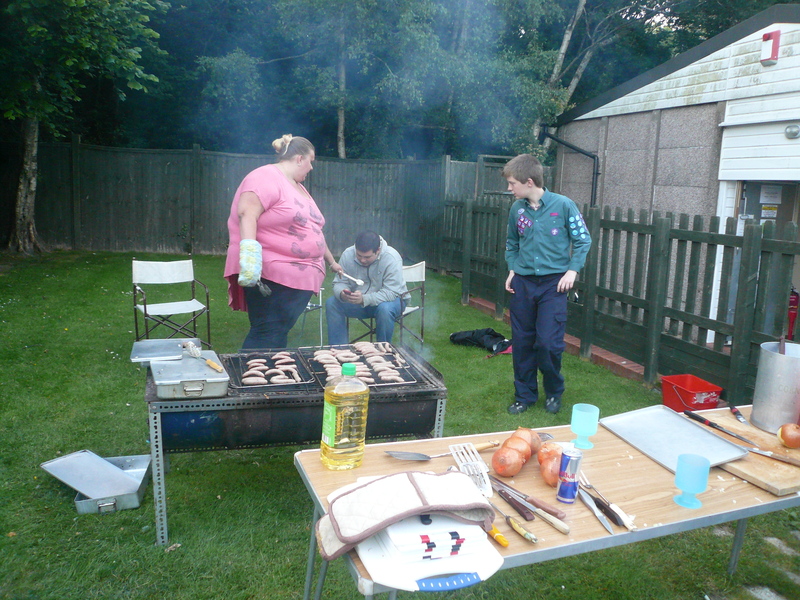 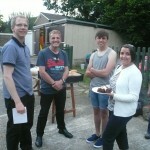 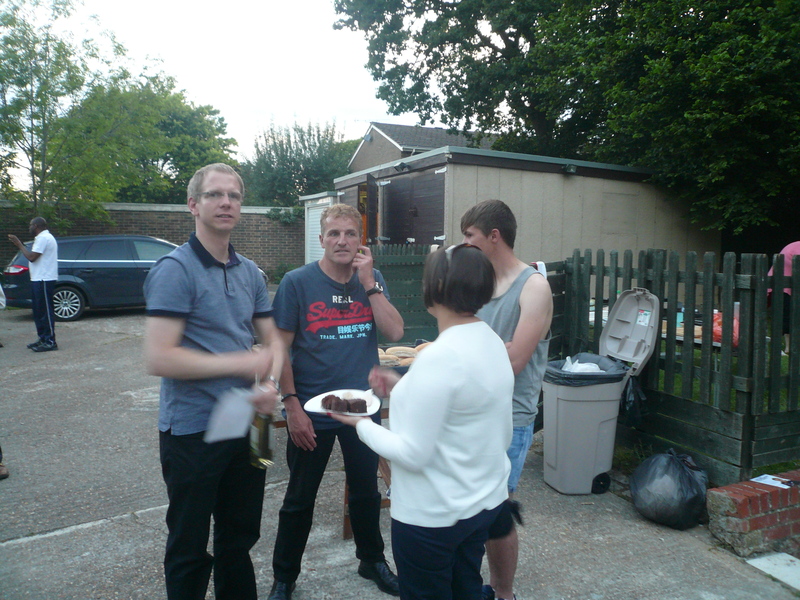 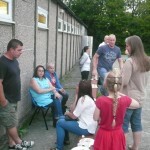 Everyone was then invited to go outside where members of the Troop had been preparing a bbq which was very welcome.